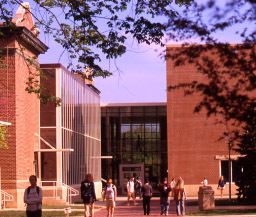 Truman State University is Missouri's premier liberal arts and sciences university and the only highly selective public institution in the state. 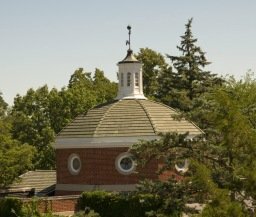 As one of the very few publicly funded liberal arts schools in the nation, Truman successfully combines affordability with the type of education and personal attention typically only offered at a private institution. 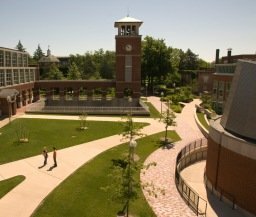 Truman has established an impeccable reputation in the Midwest and throughout the nation for the high-quality undergraduate programs offered. In fact, for more than two decades, U.S. News & World Report has ranked Truman State University as the number one master's level public institution in the Midwest. A commitment to student achievement and learning is the focus of the University. Each applicant is evaluated for admission based upon academic and co-curricular record, ACT or SAT results, and the admission essay. Truman requires the following high school core: 4 units of English, 3 units of mathematics (4 recommended), 3 units of social studies/history, 3 units of natural science, 1 unit of fine arts and 2 units of the same foreign language. Truman also offers a challenging Honors Scholar Program. Students have the opportunity to select the most rigorous honors courses to satisfy the liberal arts component of their respective programs. Those who successfully complete this program benefit from an even richer academic experience at Truman and receive special recognition at graduation. Departmental honors are also available in several disciplines. 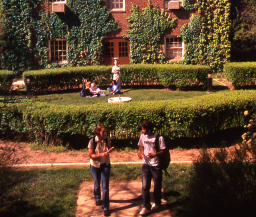 Students at Truman are active both inside and outside of the classroom. More than 400 Truman students participate in enriching and life-changing study abroad experiences each year. Students can participate in programs ranging from a couple weeks to a year in duration, and can choose from numerous destinations worldwide. The Chronicle for Higher Education recognized Truman as the top producer of Fulbright students for the 2017-18 school year among Master's institutions. This federal grant provides funds for studying or working abroad after graduation. Truman offers a wide variety of experiential internships, a required component of some academic programs. The "Truman in Washington" program provides work-experience opportunities in the nation's capitol in such areas as foreign affairs/diplomacy, government affairs, criminal justice, international relations, health and human services, and communications as well as other areas. Truman also offers internship opportunities with the Missouri State Legislature. In recent years, students have completed internships with United States senators, the United States Supreme Court, the governor of Missouri, business and industry managers, advertising agencies, physical therapists, and artists. For the fall 2015 semester, Truman had three interns at the White House. 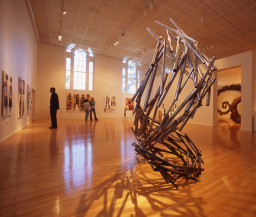 Undergraduate degrees offered by Truman include the Bachelor of Arts (B.A. ), Bachelor of Science (B.S. ), Bachelor of Music (B.M. ), Bachelor of Fine Arts (B.F.A. ), and Bachelor of Science in Nursing (B.S.N.). Truman offers more than forty areas of study in the following disciplines: Accounting, Agricultural Science, Art, Art History, Biochemistry and Molecular Biology, Biology, Business Administration, Chemistry, Classics, Communication, Communication Disorders, Computer Science, Creative Writing, Economics, English, Exercise Science, French, German, Health Science, History, Interdisciplinary Studies, Justice Systems, Linguistics, Mathematics, Music, Nursing, Philosophy and Religion, Physics, Political Science, Psychology, Romance Languages, Sociology/Anthropology, Spanish, Statistics, and Theatre. Professional paths include but are not limited to dentistry, engineering, law, medicine, optometry, pharmacy, physical therapy, occupational therapy and veterinary medicine. The teaching degree at Truman is the Master of Arts in Education. Students wishing to pursue a teaching career first complete a bachelor's degree in an academic discipline and then apply for admission into professional study at the master's level. Master's programs in special education, elementary education, middle school education, and secondary education are available. Truman also offers Master's level degrees in Accountancy (MAc), Athletic Training (MAT), Communication Disorders (MA), Counseling (MA), English (MA), Leadership (MA) and Music (MA). The Liberal Studies Program is the heart of Truman's curriculum and is intended to serve as a foundation for all major programs of study. 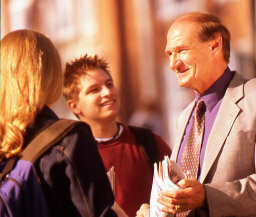 The philosophy behind the Liberal Studies Program is based upon a commitment that Truman has made to provide students with essential skills needed for lifelong learning, breadth across the traditional liberal arts and sciences through exposure to various discipline-based modes of inquiry, and interconnecting perspectives that stress interdisciplinary thinking and integration as well as linkage to other cultures and experiences. Students at Truman complete a "capstone," or culminating experience their senior year. This experience prompts seniors to reflect on the knowledge they have gained throughout their learning experience and to integrate the knowledge, skills, and attitudes of liberal learning with an in-depth understanding of the major. Business Administration, Management and Operations. 8 term U.S. Rep., founder U.S Capital History Soc. Emmy nominated actress; best known for her role in NBC's "The Office"
The fall semester gets a jumpstart at Truman with Career Week, hosted by the Career Center, complete with speakers, employer information sessions, and a career expo that has included Boeing, the Federal Bureau of Investigation, IBM, and Target. Other career calendar highlights are a spring Non-Profit conference, Alumni Mock Interview Day, and a host of grad school prep events like “How to Attend Graduate School for Free.” Alumni who visited PayScale.com report an average starting salary of $45,000, and 53 percent believe their works hold a high level of meaning. Tuition for Missouri residents for the 2017-18 academic year is $7,352; out-of-state tuition is $14,136. The average room and board rate for both Missouri residents and nonresidents is $8,638. Additional fees include a one-time freshman orientation fee, and annual fees including an activities fee, an athletic fee, a Student Health Center fee, a sustainability fee, a technology fee, and a parking fee for those with a vehicle, plus costs of books and personal expenses. Truman offers automatic scholarships ranging from $500 to $5,000. Competitive scholarship awards vary from $500 up to full tuition, room and board, plus a $4,000 study-abroad stipend. The application for admission also serves as the application for the automatic and competitive scholarship programs. A limited number of scholarships are awarded to students for excellence in fine arts, debate or foreign language. These scholarships are available for instrumental or vocal music; acting or dramatic production; studio art or art history; speech or debate; and foreign languages offered at Truman. Of special interest to piano students is the Truman Piano Fellowship Competition, a February competition offering scholarships to top pianists. 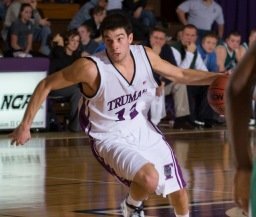 Truman, a National Collegiate Athletic Association Division II member, offers 20 men's and women's sports. The NCAA and the University authorize a limited number of grants to outstanding athletes. The value of this aid may vary with each individual recipient. Truman accepts the Free Application for Federal Student Aid (FASFA) and participates in all Federal Title IV financial aid programs. Financial aid estimates are available upon request. With approximately 250 student organizations to choose from, encompassing service, Greek, honorary, professional, religious, social, political and recreational influences, Truman students have tremendous opportunities to become involved on campus and in the Kirksville community. Truman student organizations sponsor a number of events throughout the year, such as Truman Live, International Idol, guest speakers, poetry slams, musical performances, dance recitals, volunteering events, and ever-popular food nights. 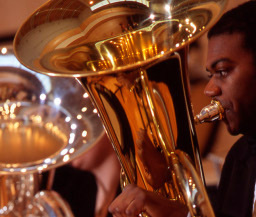 The Kohlenberg Lyceum Series also provides a variety of cultural programs that interest students throughout the year. Past programs have included brilliant performances by the Peking Acrobats, American Shakespeare Center, Vocalosity, and the Russian Festival Ballet. Truman's Student Activities Board sponsors a variety of entertainment events. Recent SAB concerts include Andy Grammer and Sara Bareilles. Comedic acts and speakers like Donald Glover, Adam DeVine, and John Oliver have also come to Truman's campus in recent years. Not surprisingly, a large percentage of Truman undergrads hail from the midwest and “most are Missouri residents.” Therefore, it often feels as though the majority of students here hold “similar small town/suburban midwestern conservative values.” Beyond these shared morals, Truman undergrads are also united in their “eager[ness] to learn” and the library is continually “packed..with students trying to better themselves.” Many also describe their peers as “very open” and “friendly.” More importantly, Truman undergrads “are always willing to help each other.” And while they do recognize that “there is not much ethnic diversity,” students rush to assert that “the school overall shows a considerable warm and accepting atmosphere.” Rest assured, “racial nor gender discrimination is tolerated on campus.” Many also love that the university is “big enough that you can always meet new people, but small enough that you always see someone you know no matter where you go.” And they greatly appreciate that their classmates “are always prepared for conversation.” As one supremely satisfied student sums up, “Truman has led me to my very best friends.” And what more could you hope for in your collegiate experience? The Truman campus is beautifully situated on 180 acres in Kirksville, a town of approximately 17,000 located in the northeast corner of Missouri. The historic downtown area is within walking distance of the Truman campus and provides a connection to the Kirksville community with local restaurants, shops, and entertainment. 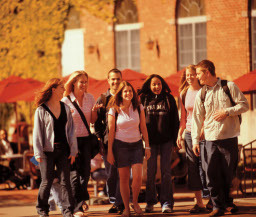 Students take advantage of numerous academic resources and facilities available to them. Improvements to campus facilities have included major renovations to Baldwin Hall one of the most historic buildings on campus housing classrooms, faculty offices, and Baldwin Auditorium, a 1400 seat performance space and home of the Lyceum Series.. Barnett Hall has a modern Student Media Center encompassing facilities for the student-produced newspaper, Midwest travel magazine, radio station, and TV studio. Students also enjoy dining, socializing, and relaxing in the newly renovated Student Union Building. The Health Sciences Building houses a speech and hearing clinic for Communication Disorders students, an independent learning center for Nursing students, a Human Performance lab, and the Fontaine C. Piper Movement Analysis lab. 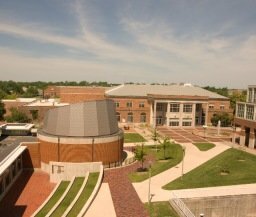 Additional facilities include a biofeedback laboratory, an organic chemistry lab, an observatory, a 400-acre university farm, a multicultural affairs center, student health center, and a career center. Athletic facilities include a 5,000-seat football stadium, a 3,000-seat arena with three basketball courts, an Olympic-size swimming pool, soccer and rugby fields, baseball and softball fields, tennis courts, a dance studio, and a Student Recreation Center. Truman has been measuring its energy consumption and is implementing appropriate measures to lower it. Solar panels are located on five different buildings across campus. During the first year of implementation, Truman saw a reduction of 113.5 tons of CO2 emissions producing 108 kW of useable energy from these panels. Efforts to manage the consumption of our natural resources are also a priority. We are proud of our beautiful campus, which has been named a Tree Campus USA site by the Arbor Day Foundation. 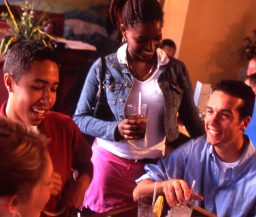 Residence halls also provide comfortable and enriching living environments for students. Most of the halls have been renovated within the last five years. All residence halls offer lounges, kitchenettes, laundry facilities, high-speed internet (including wireless), cable TV, and many other amenities. Students can eat in dining halls or in the food court style dining in the Student Union Building. Nearest airports: Kirksville Regional Airport (Cape Air offers affordable flights to and from St. Louis three times daily), St. Louis and Kansas City Amtrak into LaPlata, MO (12 miles south of Kirksville) Kirk-Tran public busing service has stops on campus. Entering Kirksville from the South: From Highway 63, take the Baltimore St exit just south of town, continue on Business 63, turn left onto Franklin Street and continue approximately 1 mile. Entering Kirksville from the North: From Highway 63, take the Baltimore St exit, continue on Business 63, turn right onto Normal Street. From Highway 6, continue straight onto Franklin St. From Highway 11, continue straight on Illinois, take a left on Marion. Over 10 hotels/bed and breakfasts are available in Kirksville, ranging in price from $40 to $120. The Holiday Inn Express, Super 8, and Knights Inn are closest to campus. Hampton Inn is located on the north side of Kirksville, approximately 10 minutes away.